How Much Does Stone Countertop Installation Cost? What size stone countertop do you need installed? What type of stone do you want to have installed? Are you using a slab of stone or are you tiling the surface? Do you want any special edge treatments added into your design? How many holes need to be cut in the stone? For example, if you have more than one sink or you need extra holes cut into the stone. 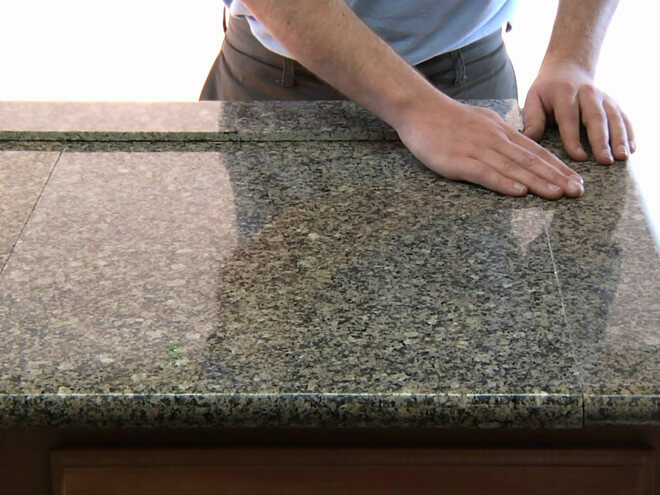 You should also consider how much abuse your stone countertop installation will be subjected to. Some stone types are more brittle than others and will not last as long as other types of stone. Consulting with a professional will ensure you make the best decisions for your new stone countertops. What Kind Of Stone Is Right For Your Countertops? In the beginning, most stone countertop installation used granite. Marble was also used, although the high cost of this material often meant that it was used in smaller areas rather than over the entire surface of the counters. Some stone is harder than others and may be more suitable for use in your kitchen. Some types of stone are also only available in shorter lengths which means they may not work well in an area where longer counters are being used. Budget: Some types of stone need more work than others to fashion them into countertops. Others need work sealing and grouting the surface so that they will not get stained or discolored. You should work out a budget and how much you can afford, and then compare it to the cost to install a stone countertop. How Much Does It Cost To Install a Stone Countertop? The national average cost for stone countertop installation runs from as little as $600 and up to as much as $7,000. Most American homeowners spend, on average, $7,000 on this type of installation. These prices can be influenced by many factors as seen above, but below we will provide a basic cost breakdown on this type of home installation. When it comes to labor, you can expect to spend between $30 - $100 an hour on a professional carpenter to complete the installation. Consider the following types of stone countertop installation rates per sq ft. Remember that although stone countertop installation may seem expensive, it's durability and long lasting surface will actually increase your home's value. Because you are investing in your home, we recommend you compare quotes from local contractors and check references in order to ensure quality workmanship worthy of the expense. Because prices vary widely, consulting with a local professional on your stone countertop installation is the only way to get a more accurate breakdown of the cost. If you are ready to find out how much your stone countertop installation project will cost, simply enter your home zip code in the space below. One of our selected contractors will contact you shortly for some assistance. Receive a FREE estimate with absolutely no obligation to purchase, hire, or sign any contracts. Your stone countertop installation costs may differ due to the several factors affecting for this type of installation. Get in touch with local professionals for a more accurate estimate.